CrowdPrecision offers higher quality results at lower cost and faster. We decided against a solely decentralized platform. Our experiences show that there are always cases that can not be clarified automatically. 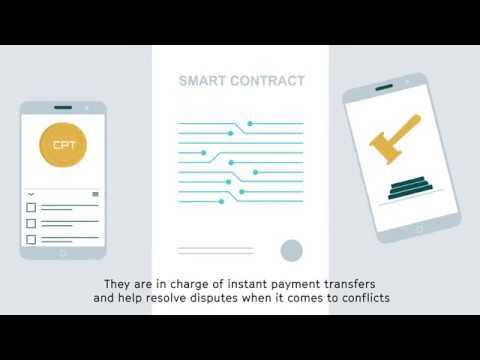 Therefore, our platform has a group of experts who serve as a point of arbitration and take into account both, the interests of employees and employers in a neutral way. CrowdPrecision tackles two of the most significant challenges in current Crowdsourcing applications - quality control of the work submitted and fast and cost-effective payment mechanisms. One approach to access this labor force consisting of global Internet users is Crowdsourcing. Instead of delegating large tasks to dedicated employees, the work is broken down into smaller jobs that can be accomplished independently and are distributed via marketplaces to a large number of online workers. On the one hand, the parallelization leads to a much faster achievement of the tasks. On the other hand, the approach helps to reduce the overall labor costs due to the inclusion of global workers of different salary expectations. Additionally, it further facilitates the flexible scaling of human crowd resources based on current demands, similar to technical cloud infrastructures. Besides economic aspects, Crowdsourcing also offers a great opportunity for individuals from developing countries, as it introduces channels for safe and well-paid online labor. With its new possibilities for increasing productivity and redefining ways by which businesses carry out projects, Crowdsourcing is already successfully applied in various fields of traditional work, including text production, logo design, programming, and even research and development tasks. Furthermore, it also makes possible the cost-efficient and timely completion of vast numbers of so-called microtasks, which non-expert crowdworkers can complete within a few minutes and without any prior knowledge but which are impossible to perform using algorithmic means. Micro-tasks exhibiting interesting patterns and worker behaviors, for example labeling or tagging a set of objects, are utilized for machine learning and could be used in deep learning. The current approach to understanding crowdsourced human input is vital for the further development of machine learning models and approaches. The rapid rise in the use of international platforms like Amazon Mechanical Turk (MTurk), Microworkers, and Crowdflower demonstrate the considerable growth of Crowdsourcing in recent years. Consequently, CrowdPrecision aims at combining the success of these traditional Crowdsourcing platform providers with the benefits of current developments in Blockchain Technology and using cryptocurrencies. First of all, I like the fact that this project takes into account workers in developing countries. They should occupy an important position in the revitalizing cloud work market. Also, inviting them should be a response to common problems that we have to solve. The team seems to be experienced. The business model is stable as well. But how to use block chains is unclear. Why do they need a block chain? I also do not know how tokens work. This market is now becoming a fierce battlefield in ICO. I would like the project to show clear advantages. That point is a weak point.